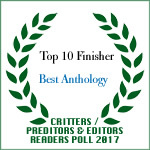 I’m excited to announce that my short story “Gabriel’s Trumpet” has been voted “Best Short Story (All other Short Stories) Published in 2017” in the annual Preditors & Editors Readers Poll. While my work has previously appeared in award-winning anthologies, this is the first time something of mine, in specific, has received an award. So, yes, I’m thrilled. And I am profoundly grateful to the many fans and friends who took the time to voice their support for the story. So, what is “Gabriel’s Trumpet?” First, at nearly 16,000 words, it’s more than a simple short story and borders on being a novella. Second, it is historical fiction and a mystery with heavy supernatural overtones. 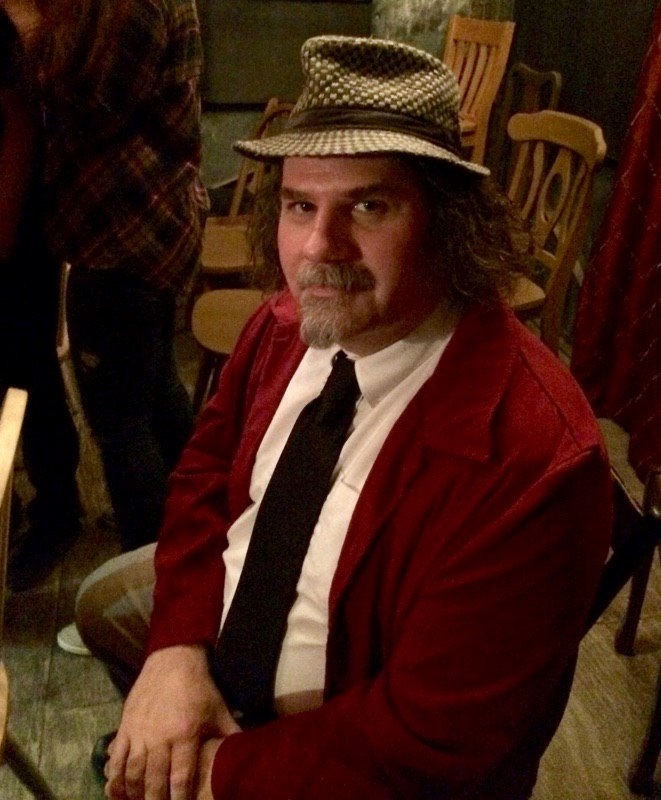 The story follows a paranormal investigator on the trail of jazz trumpeter reputed to have returned form the dead. The investigator pursues the musician through some of the Jazz Age’s definitive locations: the Mississippi Delta, New Orleans, and New York at the height of the Harlem Renaissance. Along the way, he faces challenges from rival investigators, gangsters, hostile backwoods rustics, and perhaps even a supernatural entity or two. One of the great joys of writing “Gabriel’s Trumpet” was that it allowed me, in a way that my previous fiction had not, to really bring into play my experience as a music journalist and music historian focused on American roots music. An emphasis on “the spirit of place.” I worked hard to bring each location to life as a character in its own right. “Cameos” by several historical figures, including author/poet Langston Hughes, eccentric scholar Charles Fort, elder statesman of “ghostbusting” Walter Franklin Prince, and New Orleans photographer E.J. Bellocq. A nodding homage to the Mythos. And a scene or two of crazy, two-fisted pulp action. Read the opening of “Gabriel’s Trumpet” here. Its curator, Nicole Petit, came in second for Best Editor. Best Magical Realism Short Story (Donald J. Bingle, Double D). Top 10 Horror Short Story (Brendan Foley, Moses Callahan’s Last Chord; John Linwood Grant, Hoodoo Man). Look for the release of a novel-length treatment of Gabriel’s Trumpet, also from 18th Wall, later in 2018. What will you get in this expanded version of the story? Willie “The Lion” Smith — waiting for you to encounter him. Discover the origin of Gabriel Gibbs’ mysterious trumpet. Take a peak behind the curtains of the legends and folklore of Gates County, Mississippi, including its county seat’s ill-starred name, Pilate’s Point. Learn the backstory of Gibbs’ family matriarch, Aunt Mancie. Experience the lurid origins of the split between the American Society for Psychical Research and Boston Society for Psychical Research…through the eyes of its participants. Cringe at historically accurate portrayals of 1920s medicine and surgical techniques. Dive deeper into the exploration and celebration of Jazz music and Jazz culture. Take a trip to the bayous of south Louisiana for a full-throttle Mythos rumble. Encounter addition historical figures, including Victor Records scout Ralph Peer, colorful jazz pianist Willie “The Lion” Smith, and arch-skeptic Harry Houdini.